Airman First Class Eric Spinelli, a graduate of Greece Athena High School, furthered his education at Ithaca College in Ithaca, NY, where he received a Bachelor’s degree in Music Performance and Education in 1998. While there he performed with the Ithaca College Wind Ensemble during their one week tour of England and Ireland. 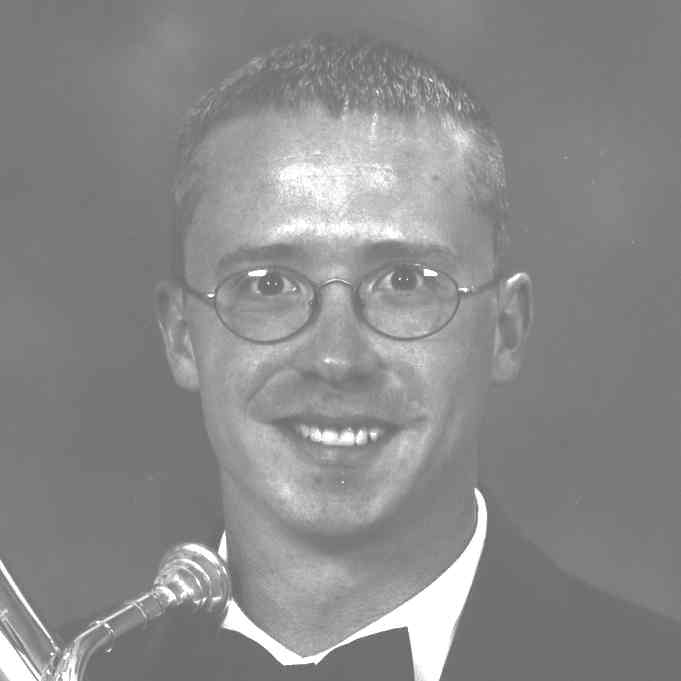 Airman Spinelli then attended the University of Cincinnati Conservatory of Music where he was the recipient of the University Graduate Scholarship. He graduated with a Master’s degree in Music Performance in 2001. His professional experience includes performing with Mr. Jack Daniel’s Silver Cornet Band, the Harvey Phillips Tuba Company and the Cincinnati Wind Symphony. He joined the United States Air Force in May, 2001, and received his first assignment with the Air Force Band of Liberty.